It is common for the lock rekey method to be viewed as the primary alternative to replacement. This is true, but only to a certain extent. It is important for you to know when rekeying is an effective solution and when other fixes are better. The process of rekeying involves the reconfiguration of the internal cylinder mechanism which consists of pins and springs. This job is done with the use of special tools for replacing the pins. The cylinder plug is taken out first. After the job is complete, the door lockset can be operated only with a new key. The old ones will no longer work. You will receive the new key or set of keys right away. This solution is used in case of stolen or lost house keys or office keys. In general, such situations constitute emergencies because if the keys get into the wrong hands, the risk of break-in and theft becomes extremely high. If you encounter such a problem, you must deal with it straight away. 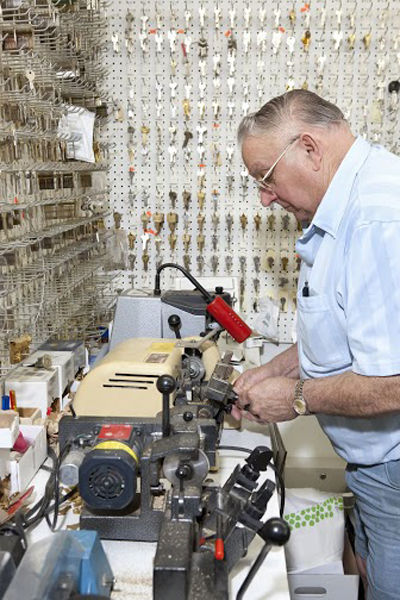 With rekeying, the old lockset will remain in place. This saves time and typically reduces the cost for the property owner. At the same time, operating the lock with the old keys will be impossible. Two conditions have to be met in order for rekeying to be used. Firstly, the locking device must be in good condition and function normally. If it is damaged in any way or does not work as it is supposed to, lock repair will be required before the cylinder can be reconfigured. Secondly, the device must be able to provide optimal level of security to the property. If it has got extensively worn-out or outdated, it is best for it to be replaced. This is the only way in which security can be effectively restored in this particular situation. If you have to choose between rekeying and replacement, you should know that the first option is not always quicker than the latter. If the lockset has interchangeable core, then only the core can be replaced. This eliminates the need for taking it out and changing the pins and the need for replacing the entire mortise set. Finally, you should know that some locksets cannot be rekeyed at all. These are generally quite rare, but it pays off to check whether a new device that you purchase can undergo this procedure if needed. Make sure that you do this before the lock installation process begins.